Ladies and Gentlemen of the British Crossfires Group I am pleased to announce that we are now members of the Motor Sports Association. This process has taken over twelve months of ensuring that we have structures in place that ensure that your interests as members are protected. As part of the process we are now also members of the ANWCC the Association of North West Car Clubs. For membership of the ANWCC Karl had to attend their AGM and deliver a talk on our cars and the group. John Eccles has been working hard on the website britishcrossfires.co.uk and there will soon be a link where you can fill in a membership form if you wish to do so. There will be NO subscription , membership is FREE and is open to all members of the Facebook Group whether you are a Crossfire owner or not. Our ethos will remain the same in that we will be organising Social Touring events and basically carry on as normal fund raising through the odd raffle and charging minimal entry fees for events to cover the costs of items such as rally plates and route books. 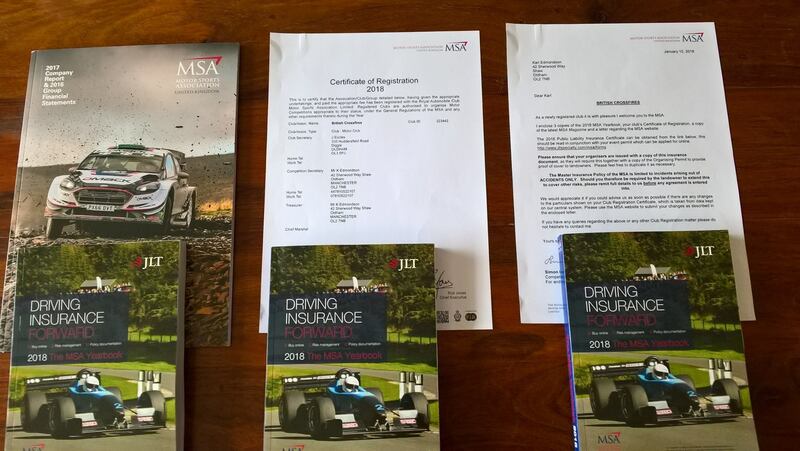 There are several advantages to Joining the MSA such as Public Liability Insurance and the opportunities to attend free courses such as Marshalling and other Motor related skills. There is a periodical magazine called the Spotlight which is produced by the ANWCC which is a great read and informs you of events in the North West but the MSA website itself will let you know of groups which will be covering events in your area. We will inform you also by email of any upcoming MSA events and British Crossfire events.